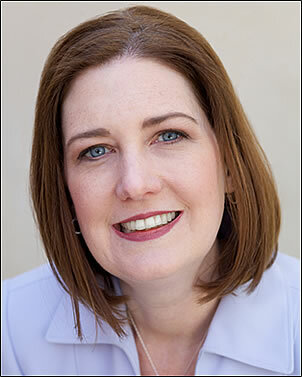 Today I am pleased to post a Q&A with Erin Flynn Jay, author of Mastering the Mommy Track, which is hot off the presses! This interview gets at the (sometimes overlooked) aspect of mothers’ and kids’ mental health during difficult economic times. Please note: some of the stats included in this interview (and in the book) pertain to American women only. However, much of the material – and sentiment – is universal. Q) Chapter 1 is entitled Mental Health: I Am Overwhelmed – How Can I Cope? What surprised you most about the mental health of working mothers today? A) Many working moms are under tremendous pressure and are too stressed. Some have felt guilty for being employed while colleagues, friends or family members were laid off. Many of them are the primary breadwinners while their spouse or partner is unemployed, vying to get back in the workforce. They may carry guilt for not being able to spend more time with their children yet realize they need to work for financial reasons. Q) How do you feel and/or what did you uncover about the impact of mothers’ stress on their children? A) When we’re stressed, we have less patience and fewer emotional resources. This can render any mom vulnerable to using parenting strategies they might not normally employ. Child abuse increases during economic downturns. Moms and dads must pay attention to their emotional responses to their children. When you are stressed, your children will know it and will act out more often and more extremely. Children know when you feel guilt because you give in more easily and are less consistent. If you don’t want these challenging behaviours, you need to spend more time with their children. Q) What’s the number one thing you can suggest for stressed out families? Slow down after work. Spend some time with your children, even if it is just 20 minutes before you get dinner prepared and cooked. Appreciate the small moments you have. Set the proper example. Children look up to parents and follow their role. Make sure you aren’t yelling at your kids over spilling snacks or drawing on the wall. Give yourself some credit. Commend yourself for getting through each hectic day. No one is perfect. You won’t get every project finished on time. Do your best each day and realize the rest will have to wait until tomorrow. Don’t be too tough on yourself – it’s okay to make mistakes. Let your children know it’s okay for them to also make mistakes. Q) How has researching and writing this book changed your perspective on today’s working mother? A) I did an interview with AdvisorOne recently and spoke about how working moms are feeling the pressure from their roles of breadwinner and caregiver. It’s this pressure on moms nationwide–and the economic downturn–that motivated me to write this book… [In a recent study it was noted that] Employers will choose a dad over a mom because they fear that moms won’t be as available or committed to the job, said study co-author Michelle Moroto, an assistant professor in the sociology department at the University of Alberta. This is so unfortunate. Q) Does the old adage, “it’s not quantity, it’s quality” in regard to time spent with children still hold true? A) Yes, quality is paramount. Moms, don’t be so preoccupied with work or your career that you miss out on quality time with your kids. Ditch the smart phone for an hour or two each weekday so you can play with your kids or read to them. Limit the amount of TV they watch, and strive for quality interactions. Make the weekends extra special—take them on family outings to local parks, museums or excursions. Ask them what is going on at school, and they will tell you. Evaluate their current daycare or preschool program to make sure it’s the best fit for them and they are happy. Q) Anything else you’d like to add in regard to your book and the topic of children’s mental health? A) My research turned up a disturbing fact. With such intense pressure on career moms, many are turning to alcohol or drugs to calm frayed nerves. A November 2010 article in Working Mother magazine cites statistics that stress may drive more mothers to drink or abuse drugs. The article profiles women who suffer from alcohol and other addictions. Of those responding to the magazine survey, 40 percent say they drink to cope with stress, and 57 percent say they’ve misused prescription drugs. Moms need to seek professional help or express concerns about a person they care about before it’s too late. Erin Flynn Jay is a writer and publicity expert. She received a B.A. in Communication from the University of Scranton in PA and lives in Philadelphia with her family. You can order Mastering the Mommy Track at Amazon.com: http://amzn.to/PWThUb . This entry was posted in Experts, Facts, Social, Study and tagged additction, anxiety, career, child abuse, emotions, family, kids' mental health, parenting, stress, working mother. Bookmark the permalink.